Home Lifestyle Desk-picable me? Desk-pacito?Desk to dawn! On the sixth day, God made man with a cripplingly short attention span and so in mourning, he spent the seventh day napping. The rest is quite literally history. For decades now, the human race has been looking for ways to reverse the effects of entertainment and stay productive. We bring to you an array of gadgets which will help you fight dopamine with dopamine and keep at it by keeping you at your desk. Coffee- the unsung hero of every report turned in after midnight- has finally found a cozy permanent spot at your desk. At your comfort, you can sip onto your piping hot elixir of life! This handy gadget helps keep your coffee warm at all times near you and also keeps you awake! Want to grab one for yourself, click here! Since you won’t be falling asleep at your desk anymore, there is now room to be awake more comfortably. The desk hammock, which is a total steal by the way, is simple and effective. It can be adjusted on the vertical plane to find you the optimal degree of relaxation. Moreover, if your feet don’t touch the ground you can’t get very far from your desk. 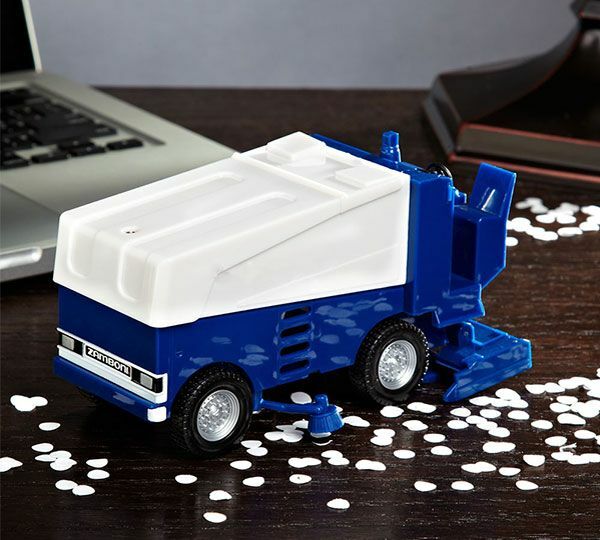 This Zamboni shaped vacuum cleaner is perfect to keep your ruse of productivity going. This device is known to keep your desk crystal clear and spotlessly clean! But hey, you would have to declutter yourself. Can’t have machines do everything for us eh? 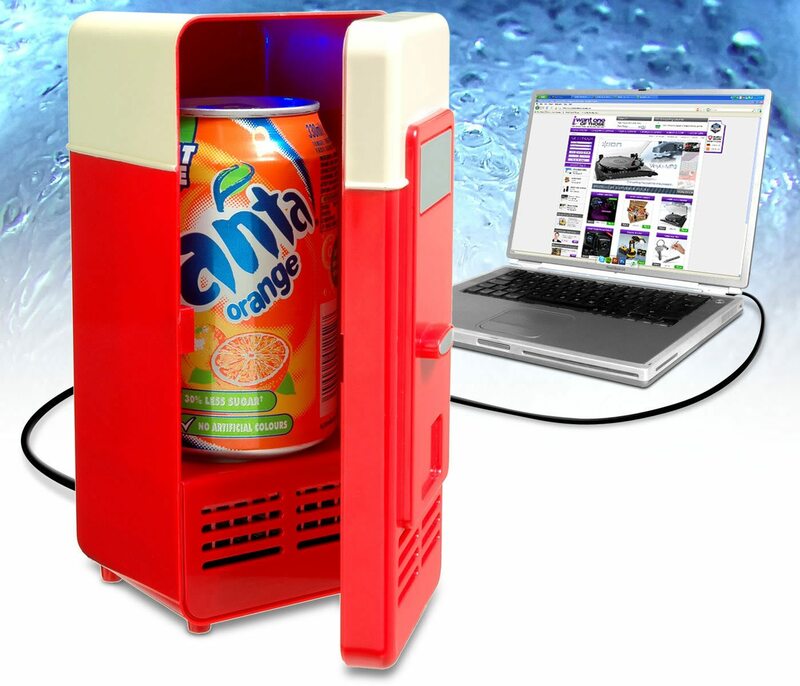 Crack open a cold one for one with this USB powered mini-fridge. No more wondering if your Coke can will survive the lunch break in the fridge you’re sharing with three billion other people. We at Techquila support not only yours, but also the well being of your co-workers. To make sure that no animals (yes that includes humans) are harmed in the making of your career, this punching bag acts like an airbag for the people around you. Plant it at eye level for the best results. Finally, a conversation piece for you work station. Give your colleagues adequate reason to call you so extra with this state of the art, unnecessarily large enter key. It comes with a velvety cloth cover and inflated sense of self importance for you to enjoy your work, even when you do very little of it. You can effectively put all your anger on this pillow key without worrying about the destruction of your keyboard, but still get the work done! We hope these little gadgets help turn your desk into a self-sustaining habitat. Stay tuned for more life changing tips and tricks. Interested in these products for purchase? All links provided above. Interested in life hacks and more? Click here! World’s Fastest Processor for Laptops?